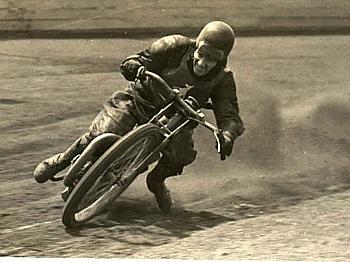 It has been the policy in the past of the Australian Speedway Control Board to run each year three (3) distinct Australian Solo Championships over 2 laps, 3 laps and 4 laps on various tracks. This has resulted in there being a number of "Australian Solo Champions" without any one rider being able to call himself THE Australian Solo Champion for the year. However provision has been made this season for the matter to be cleared up. The four leading point scorers over this season's series of three Championships will be matched in a Champion of Champions event, run over three heats and the winner will carry the title of Australian Solo Champion for that year. 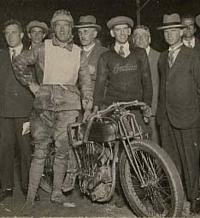 One of the oldest championships on the World Speedway calendar, the first Australian Solo Championship was run at Newcastle, NSW in 1926 and was won by American rider Cecil Brown. In the results shown, no title is included unless verified aginst reports /programmes of the day, ie. no latter day reports have been considered. L to R : Bill Dunne 3rd, Jack Chapman 2nd. Arthur Atkinson of England 1st. 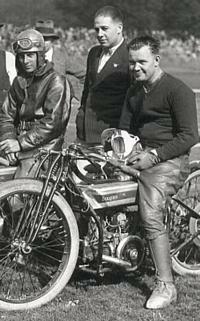 Left: The one and only Arthur George "Bluey" Wilkinson, the Boy from Bathurst, winner of the 1935 Australian title at the Sydney Showground, the 1938 3 & 4 lap titles at the Sydney Sports Ground & Sydney Showgrounds respectively. 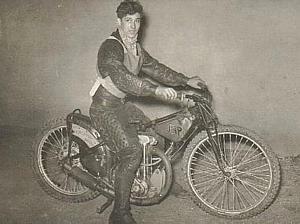 Bluey of course was also the 1938 World Solo Champion. Right: The fabulous Vic Duggan in an Aussie test jacket. Vic won the Australian title in 1941, the 1947 3 lap, the 2 & 3 lap titles in 1948 and the 1949 2 lap title. 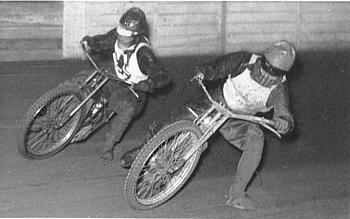 Left: Two of the greatest Speedway riders the world has ever known, Jack Parker of England on the outside with Australian legend, Aub Lawson. 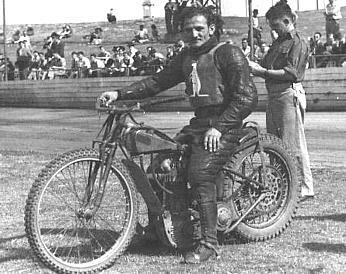 Aub won the Aussie 3 & 4 lap titles in 1949, the 2 lap in 1950, the Champion of Champions in 1950, the Champion of Champions in 1952, the 3 lap in 1953, the 3 lap and Champion of Champions in 1954. Jack won the Aussie 4 lap title in 1950, the 3 & 4 lap in 1951 and the Champion of Champions in 1951. 1928 Wayville 1929 Davies Park 2 3/4 HP. 1930 Wayville 1930 Melbourne Exhib. Season. Track. First Place Second Third. Distance. Bob won the Australian title on two occasions, 1962 in Rockhampton, Qld and 1965 at The Royale in Sydney. 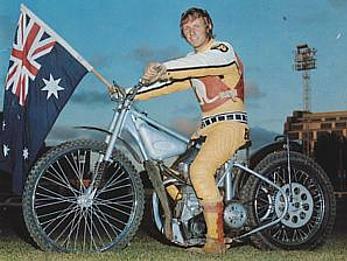 Jim won the Aussie title 4 times. The 1968 3 lap, the 1969 3 lap, the 1970 3 lap and the 1972 3 lap. 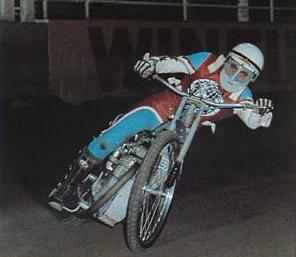 John Boulger won the title on 2 occasions, the 1971 3 lap and the 1973 3 lap. 1942 to 1945 not held. 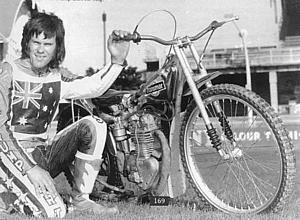 Keith ' Buck ' Ryan the last rider to win a Speedway Solo Championship event at the historic Maitland Showground track, as listed above. 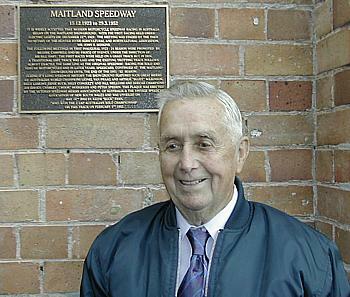 Keith at 80 years of age in 2003 unveiled the commemorative plaque laid at the historic site by the Vintage Speedway Associations of Australia on the 18th May 2003..
Lionel 'Porky ' Levy won the 4 lap titles in 1952 & 1953 and ran second on 6 other occasions. 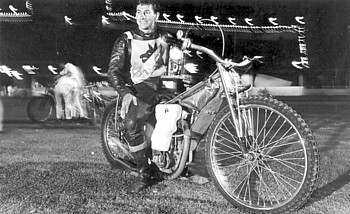 The mighty Scot, Ken McKinlay affectionately known as "Hurri-Ken" won the Aussie Solo title at the Sydney Showground in 1964, taking 2nds and 3rds in other years. 1955 to 1961 Not Held. 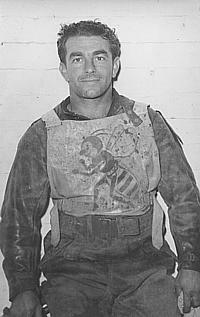 Billy won the title 6 times. 1978,1980, 1981,1982,1983 and 1985. Phil Crump. Phil took out the title 4 times with 5 x 2nd places. Won in 1975, 1979, 1984 and 1988. 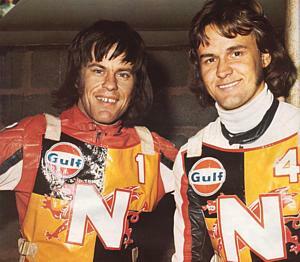 Phil Crump and Phil Herne. Stephen Davies, a 2nd in 89 and a 3rd in 90. 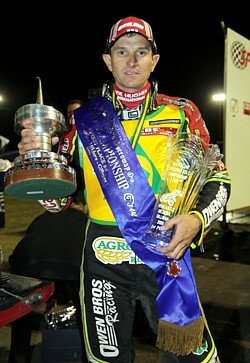 Craig Boyce, won in 1991,1996 and 1997. 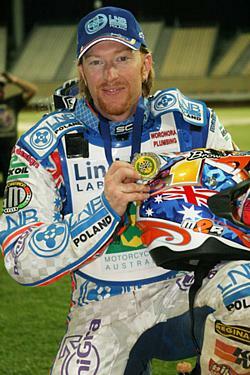 Mick Poole, 3rd in 2001. 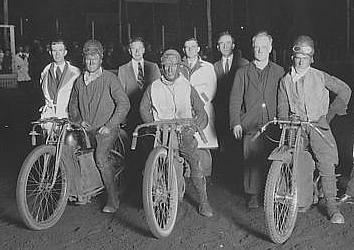 Cecil Brown of the USA on Bike, Vic Huxley far left and "Cyclone" Billy Lamont standing. List of verified Australian Championship place getters researched and supplied by Graeme Frost. In some years more than one Championship was sanctioned to cater for different track sizes and race distances. If points scored are not shown the title was decided by a final race (F). Where more than one rider is shown as joint second or third, no run off or count back took place to separate them.......Graeme Frost. ** Harold Murdoch a.k.a. 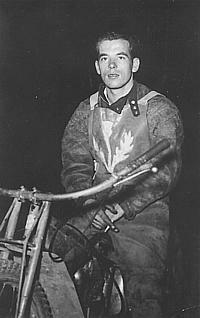 "Cyclone Mookey"
* Harold Stevenson a.k.a. "Tiger" Stevenson. * Bruce Webb a.k.a "Whirlwind" Webb. ** C of C for Champion of Champions. See note a bottom of page. Ward beat Watt in a race off for second. Where F is shown, title was determined by a single race. Where points are shown title was determined by point score. 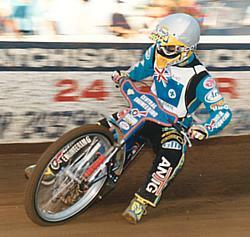 Right: Jason Crump won the 5 round Linddales Labour Hire Australian Solo Speedway Championship in 2007. Leigh Adams in 2009 makes it # 10.